Andromeda Botanic Gardens - A Partner Garden of the Royal Horticultural Society and 'one of the most unique and outstanding gardens in the world' (RHS Show judge and leader of global tours). 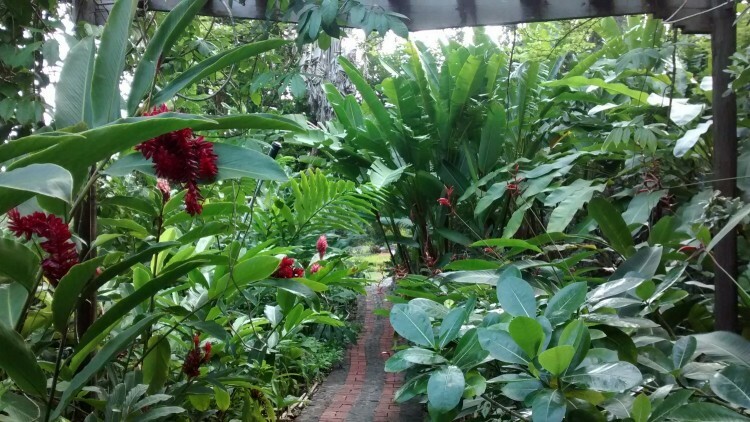 ​Come and visit this unique, historic and authentic garden located at the east of Barbados in the parish of St Joseph. Be amazed at the variety of unique trees. 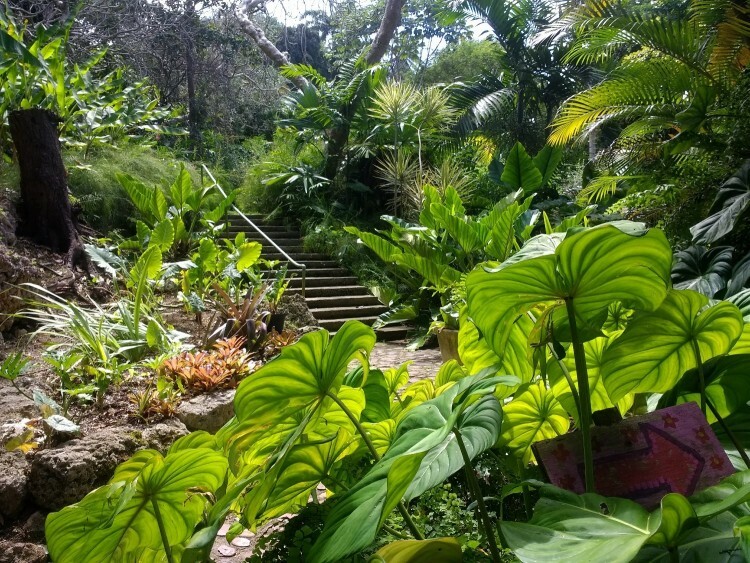 Relax by the main pond and enjoy the spirit of this wonderful space - one of the finest post-war gardens in the world.​ Welcome to Andromeda Botanic Gardens - an authentic garden experience and the original garden of Barbados. Arrange a guided tour at no extra cost - just give us a week's notice. Andromeda Botanic Gardens is owned by the Barbados National Trust and managed by Passiflora Ltd. Mission statement. Passiflora Ltd.’s aim is to provide quality education and training in all aspects of garden and landscape design; horticulture; garden and landscape construction in Barbados and throughout the Caribbean; and to encourage the use of sustainable practices. 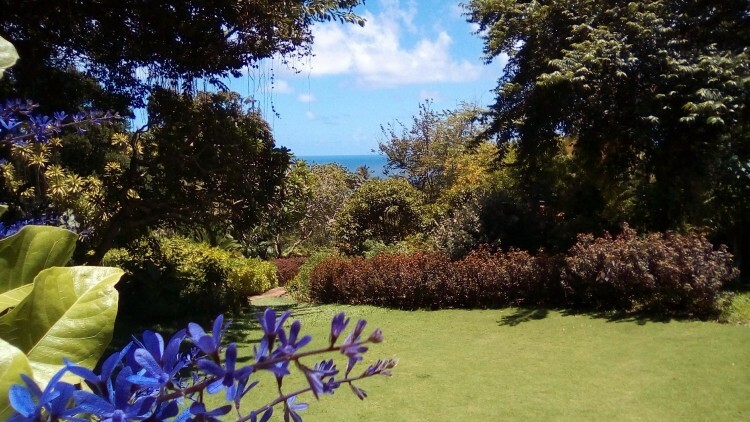 As the company responsible for Andromeda Botanic Gardens, it aims to manage this historic site in accordance with its legal obligations to the Barbados National Trust. Photograph by visitor Jill Greenwood. Iris Bannochie created a garden with dual roles - a pleasure garden and a botanic garden. ​​"Botanic gardens are institutions holding documented collections of living plants for the purposes of scientific research, conservation, display and education." International Agenda for Botanic Gardens in Conservation. Only organic practices are used at Andromeda Botanic Gardens. Farmyard and green manures are used extensively in the garden. We only use neem as an insecticide if all other forms of organic control have failed. ​​Andromeda Botanic Gardens is managed and developed in harmony with its status as a botanic garden. 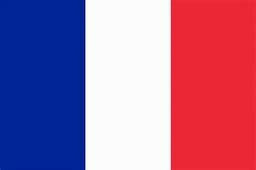 It is a member of BGCI - a worldwide network of botanic gardens concerned with conservation. The University of the West Indies is responsible for research carried out here although individual scientists can arrange a visit directly with the team at Andromeda. Andromeda Botanic Gardens is a registered training provider and a range of courses is offered. The team provides educational schedules for interns and their colleges/universities.